With an unofficial electoral campaign under way Kurt Sansone analyses the result of a Misco survey commissioned by The Sunday Times. Activity at the counting hall in 2008. Polls have been unfavourable to the Nationalist Party for months and the undeclared strategy has been to put off the election for as long as possible. However, in the three months since the last survey conducted by The Sunday Times in July, the PN’s support has remained stationary as the gap with the Labour Party continued to widen. The governing party has also lost support among young voters, a redeeming factor in the last survey. 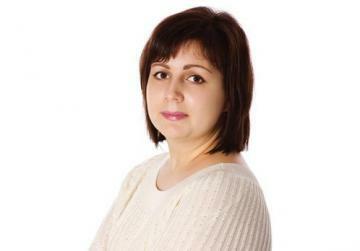 Labour now enjoys the support of 32 per cent of voters in the 18 to 24 age bracket as opposed to the PN’s 19 per cent. With Labour gaining ground across all age groups, the PN also lost primacy in the over-62 category, a traditionally strong bastion of support. 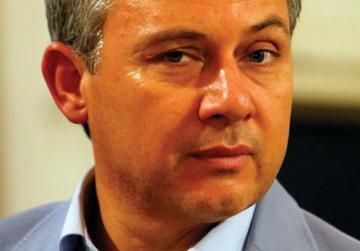 The PN now commands 29 per cent of respondents in this category, nine points less than the July survey. The Labour Party is supported by 35 per cent of respondents in the over-62 category, an increase of seven points in three months. 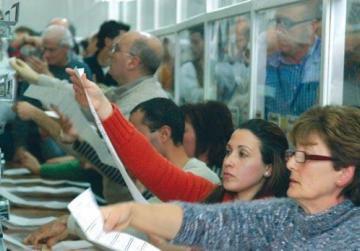 From these figures, it seems the PN’s 2008 voting base has become undecided over the past three months. From those who voted PN in the last election, 11 per cent will now vote Labour, an increase of two percentage points over July, while 34 per cent will not vote or are undecided – an increase of 11 points in three months. From those who voted Labour in 2008, two per cent said they will now cast their vote for the PN, which partially cancels out the increase in the opposite swing. However, only seven per cent of 2008 Labour voters said they will not vote or were undecided, the same level as July. According to this survey, Dr Muscat is trusted by 31 per cent of respondents against Dr Gonzi’s 30 per cent. Dr Muscat trumps the Prime Minister across all age groups except the 25 to 34 category where Dr Gonzi enjoys the trust of 32 per cent of respondents against the Opposition leader’s 24 per cent. When asked whether they were more likely to vote PN if in the coming weeks Dr Gonzi announced he will step down after the next election, 21 per cent of respondents said Yes and 55 per cent said No. Significantly, 60 per cent of those who were more likely to shift to the PN if Dr Gonzi pledged to go still trusted the Prime Minister. Significantly for Labour, 42 per cent of respondents felt it was capable of carrying out its electoral pledges against 33 per cent who said No. However, the party still has work to do to convince 25 per cent who are undecided on the matter. While a relative majority across all other age groups believe the Labour Party can deliver on its promises, those between 25 and 44 were not convinced. It was a tumultuous legislature with the Government facing numerous internal squabbles. The situation even led to Jeffrey Pullicino Orlando resigning from the PN parliamentary group and taking up an independent seat in Parliament. But people generally disapproved the behaviour of the Government rebel MPs. The survey showed that 38 per cent of respondents approved the way Dr Pullicino Orlando was acting against 42 per cent who did not. However, 20 per cent of respondents were undecided as to the independent MP’s behaviour. 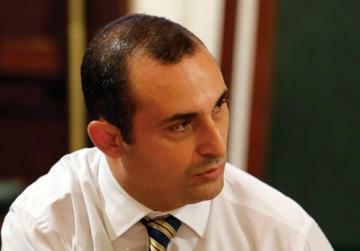 While 66 per cent of those who will vote Labour approved of Dr Pullicino Orlando’s actions, only 10 per cent of PN voters approved of his behaviour. The same question for PN backbencher Franco Debono elicited similar results with 36 per cent of respondents approving his actions against 47 per cent did not. Among Labour voters Dr Debono gets an approval rating of 64 per cent but this drops to eight per cent among PN voters. Calling an election is the Prime Minister’s prerogative but if it were up to the people he should be calling one immediately. The survey shows that 57 per cent of respondents believe Lawrence Gonzi should call an immediate general election against 31 per cent who disagree. This represents a substantial increase over the July survey when 20 per cent of respondents had indicated now as their preference for an election and 25 per cent autumn. The call for an immediate election garners an absolute majority across all age groups and is strongest among those aged between 55 and 61. 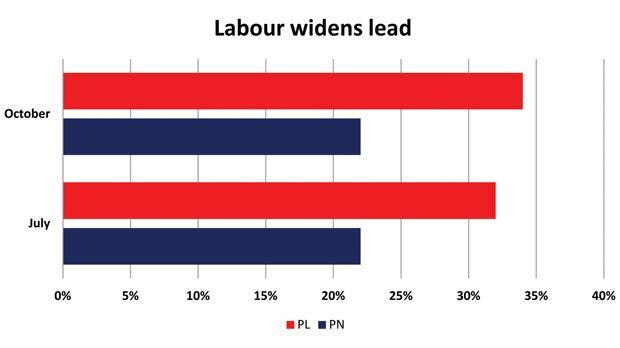 As expected, 90 per cent of those who said they will vote Labour wanted an immediate election but they were joined by 26 per cent of those who will choose PN. Calls for an immediate election were trumped by a stronger majority of respondents who believe the Government should present the Budget. 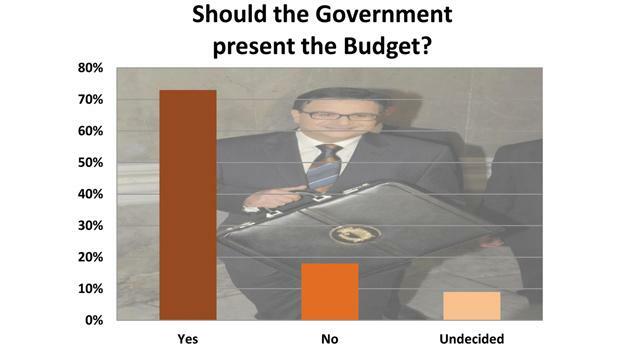 Although an immediate election and the Budget may seem mutually exclusive, respondents may have factored in the latest political statements made by Nationalist backbencher Franco Debono. The MP has said in Parliament he will vote against the Budget, which will force the Prime Minister to call an election despite his reluctance to do so yet. The survey found that 73 per cent of respondents wanted the Budget to be presented. Of those who will vote Labour, 62 per cent wanted the Government to present the Budget. Labour leader Joseph Muscat last week challenged Dr Gonzi to bring the Budget on after the Speaker rejected calls for an urgent debate on the Opposition’s motion to repeal the privatisation process of public car parks. Although the car parks motion may seem trivial, the Labour Party, backed by Dr Debono and independent MP Jeffrey Pullicino Orlando, may have hit a note with the electorate. 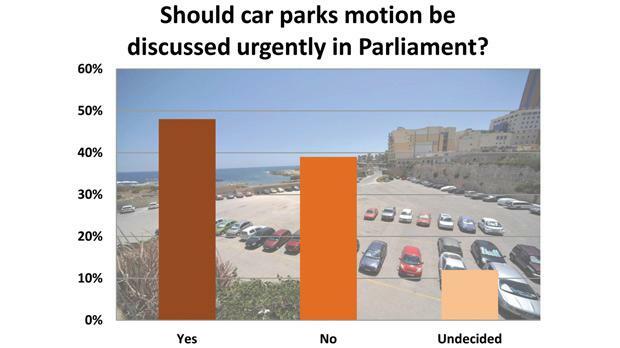 The survey found that 48 per cent thought the car parks motion should be urgently discussed in Parliament ahead of other issues against 39 per cent who said no. A majority of those who say they will vote Labour (75 per cent) agreed the car parks motion was urgent and they were joined by a not so insignificant minority of PN voters (23 per cent). 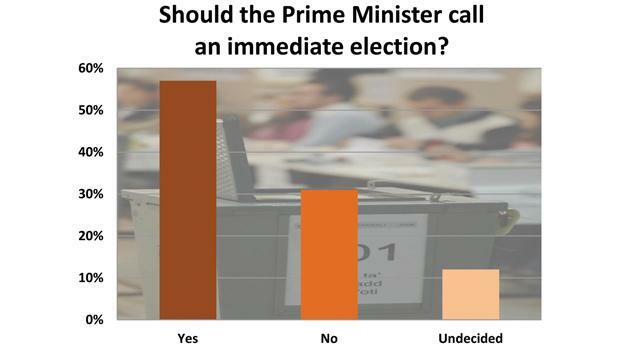 The survey showed that 22 per cent of respondents were undecided on how to vote if an election is held tomorrow. This represents an increase of three points over July. But who is the typical undecided voter? The survey by Misco International randomly polled 500 respondents and was carried out by telephone between October 6 and 10. The margin of error was +/- 4.5%.